LEXINGTON, Ky. (March 7, 2019) — Applications are being accepted for positions as University of Kentucky Alumni Association Alumni Ambassadors for the 2019-20 school year. UK Alumni Association Alumni Ambassadors are the official student hosts of the University of Kentucky. The group promotes UK at university and alumni association events and assists in strengthening students’ roles within the university. The mission of the group is to provide an overall campus involvement experience for elite leaders engaged in the university. This program is a partnership with the Office of the President and the UK Alumni Association to showcase the best and the brightest UK students. Students must demonstrate high achievement in their collegiate career and dedication to the betterment of the university. Ambassadors are required to maintain a 3.0 GPA and represent various backgrounds, cultures and areas of campus involvement. must comply with UK's Code of Conduct. Students interested in applying to become a UK Alumni Ambassador can download an application at www.ukalumni.net/alumniambassadors. All applications require a photograph, copy of unofficial transcript, letter of recommendation (by UK faculty or staff member) and a resume. Materials are due 5 p.m. Wednesday, March 27, at 400 Rose St., King Alumni House. Applications can also be emailed to Sara-Elizabeth Bush at saraelizabeth.bush@uky.edu. No application will be accepted after the deadline. Information regarding interviews will be distributed Monday, April 1. For more information, contact Sara-Elizabeth Bush by email or at 859-257-8700. 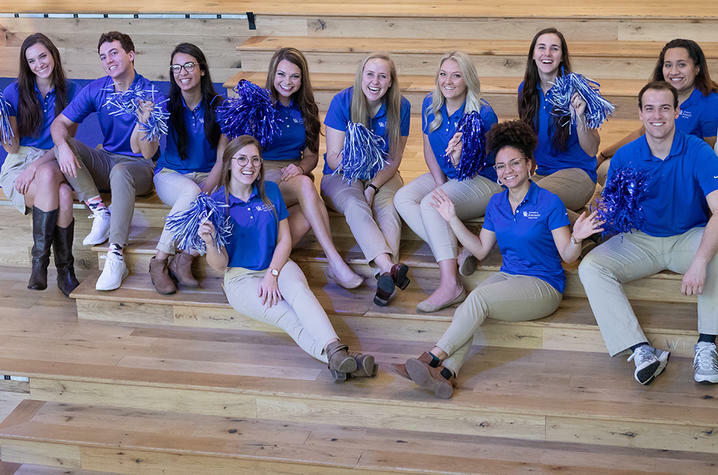 The UK Alumni Association is a membership supported organization committed to fostering lifelong engagement among alumni, friends, the association and the university. For more information about the UK Alumni Association or to become a member, visit www.ukalumni.net or call 800-269-2586.